Reverend Billy & The Stop Shopping Choir, Ocean sermon, photo courtesy John Quilty and Reverend Billy & The Stop Shopping Choir. 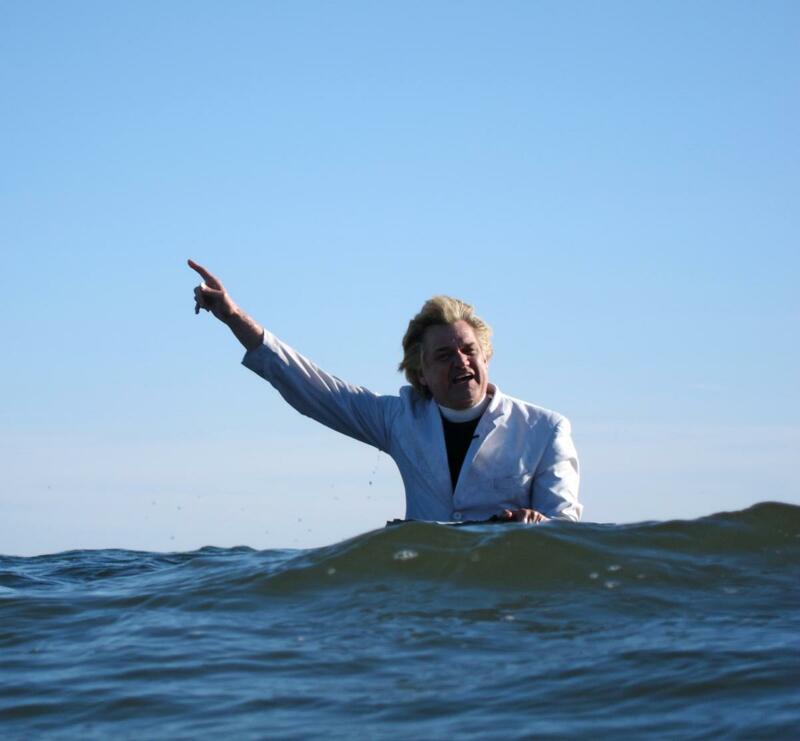 Reverend Billy & The Stop Shopping Choir is a radical performance community based in New York City and led by the Reverend Bill Talen, an artist, activist, and self-styled lay preacher. Appropriating the gesture and tone of the televangelical minister, the Reverend and the Choir focus their canonical message on the destructive ills of pollutants, consumerism, and gentrification. They routinely create 1:1 scale interventions (such as sermons and exorcisms) at major landmarks, protest events, and corporate headquarters. As of 2016, Reverend Bill Talen is banned from every Starbucks in the world due to his ongoing attempts to address the company’s unfair labor practices and its role in creating a “fake Bohemia.” The film presented in the exhibition is documentation of the exorcism of the Monsanto Corporation’s GMO Research Facility in Woodland, California. It took place on October 16, 2015, with sixteen members of the Choir’s core congregation in attendance. The report presented in exhibition consists of published materials and a film work licensed by the Museum of Modern Art in Warsaw for the duration of the exhibition. 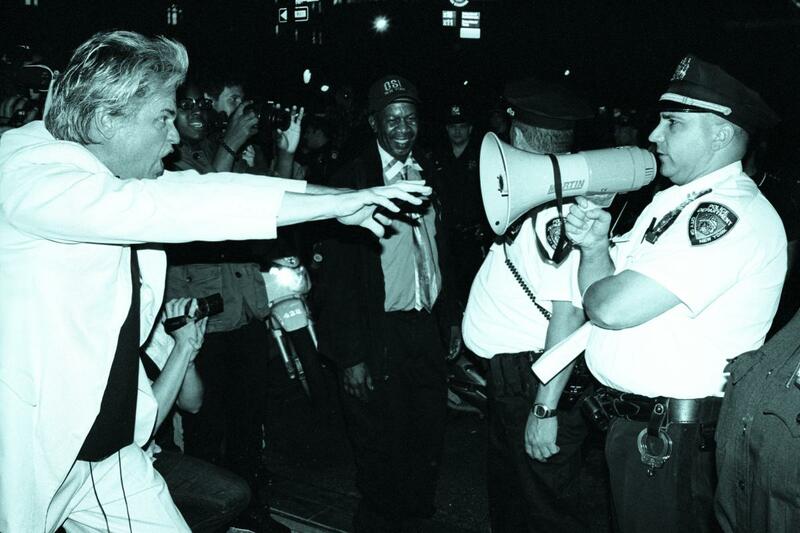 Courtesy Reverend Billy and the Stop Shopping Choir. Reverend Billy & The Stop Shopping Choir, New York performance, photo courtesy Brandon O’Neill and Reverend Billy & The Stop Shopping Choir. 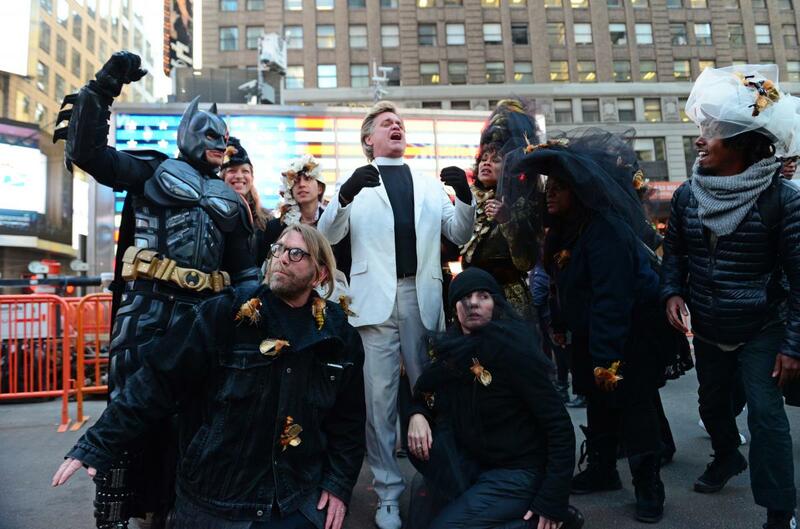 Reverend Billy & The Stop Shopping Choir, Times Square performance, photo courtesy John Quilty and Reverend Billy & The Stop Shopping Choir.